The National Center for Missing & Exploited Children provided images showing highly detailed facial reconstructions of two unidentified victims of notorious serial killer John Wayne Gacy. Authorities released said images to the media as part of the efforts of all concerned law enforcement agencies including Cook County Sheriff’s office to identify Gacy’s remaining unknown victims. The images were created by a forensic artist, showing what Gacy’s victims may have looked like. One of the victims referred to as John Doe #10, is described in the image as a white male between 17 and 21 years old, 5-foot-7 to 5-foot 11. Before his death, the victim had suffered an injury to his left clavicle, which had healed well over time. John Doe #10 also had a few dental fillings. 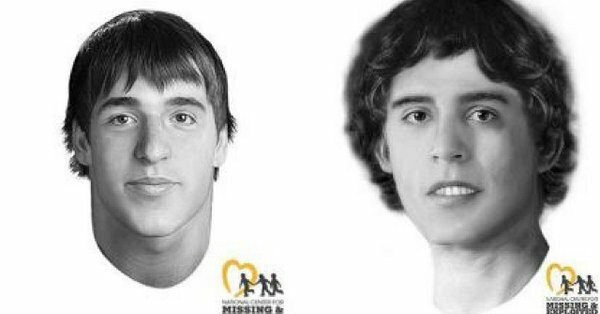 The other victim referred to as John Doe #13, is believed to have been a white male between 18 and 21 years old who was 5-foot-9 to 6-foot-2. The NCEMC also said he had wavy dark brown hair, and one of his upper teeth was displaced behind another tooth. The notorious Gacy was convicted of horribly killing 33 young men between 1972 and 1978 after authorities discovered more than two dozen bodies buried in the crawl space of his home in Norwood Park. Authorities said it was Gacy’s tactic to always pick up hitchhikers or found his victims at bus stops. Eight of the serial killer’s victims went unidentified at the time he was arrested. The Cook County Sheriff's Office launched a new effort to use modern forensics to identify Gacy's unknown victims in 2011. Following the modern investigative tool, two of the victims have been identified – 19-year-old William George Bundy and 16-year-old James Byron Haakenson. Cook County Sheriff's Detective Jason Moran has devoted much of his time and focus over the past seven years to closing the remaining cold cases connected to Gacy. He said in a previous media interview that the victims themselves and the victim’s family deserve a name. Moran also said in a video titled "Gacy – Unsolved" Moran shared that their plan has been simple: using DNA to match Gacy's victims with families of missing loved ones. Such technology wasn't available yet at the time Gacy's crimes were first revealed that shocked the country. The new tool allowed Moran and the rest to come out with more leads and explore angles. Investigators remain determined and said they won't stop searching until all six unknown Gacy victims are identified. The public’s help remains crucial. Anyone who has information about any of the unidentified victims should immediately call the National Center for Missing & Exploited Children at 1-800-THE-LOST.